We are proud to announce the opening of our newly renovated rooftop bar! Gravity Sky Bar located on the 24th floor of Novotel Hua Hin Cha Am, this Graffiti Bar Hua Hin is the highest rooftop bar in Hua Hin. Therefore, come and have a drink while enjoying the 360 degrees view over Hua Hin, Cha-Am and the Gulf of Thailand. The mural walls have been decorated by famous local street artists, to create a unique and artistic atmosphere. The first wall has been designed by Khun Rukki Kuanhawate. Khun Rukki is a Bangkok based graphic designer and street artist, born in 1978. 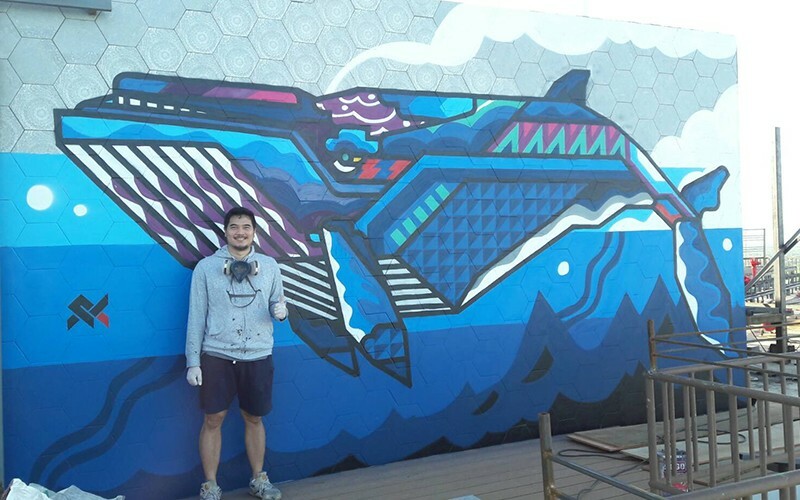 He graduated with a bachelor’s degree in Art Education from Chulalongkorn University and started painting on street in 2011 by using a stencil, colorful and geometric style. His works can be seen on the walls of many countries including Thailand, Korea, India, Hongkong, and Dubai. His work mostly focuses on animals geometric representation such as deer, birds, tiger, and fishes. The second wall has been painted by street artist Khun Kittipong Kamsart, also known as Em Buddha Bless. 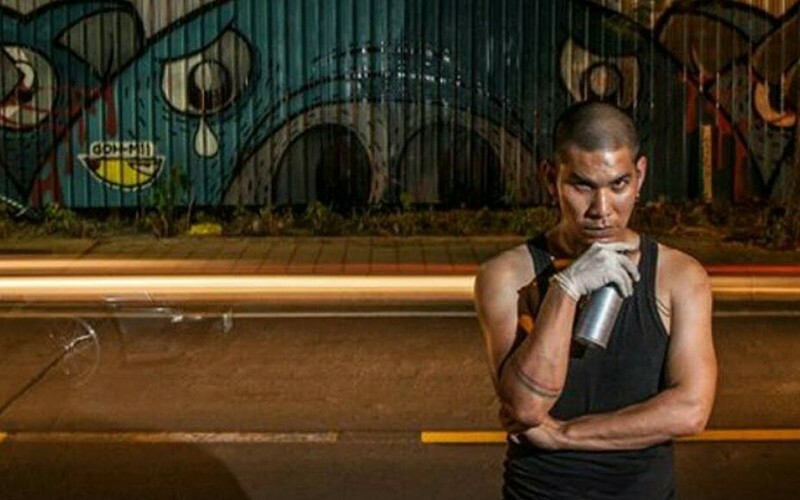 He started getting interested in graffiti while he was at the Fine Arts College in Chang Silp Ladkrabang. Few years after, he decided to become a member of one of Thailand’s first graffiti group “PMT”. In this group, Kittipong met a friend with whom he decided to start rapper band. His work can be seen in streets, but also during exhibition. In 2015, his work was featured in an exhibition in Ratchaprasong. He also got solo exhibition GOH-M family by GOH-M at HOF Art Residency Bangkok. This Graffiti bar Hua Hin is unique in Hua Hin and Cha Am area. Come to get drinks and do not forget to do a selfie with street art on the background! Read the reviews about Gravity Sky Bar.